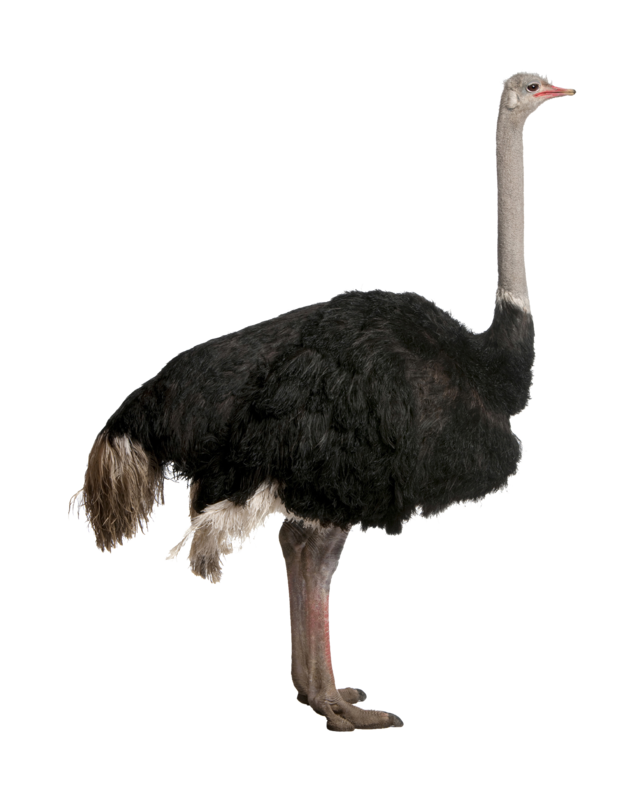 Download top and best high-quality free Ostrich PNG Transparent Images backgrounds available in various sizes. To view the full PNG size resolution click on any of the below image thumbnail. 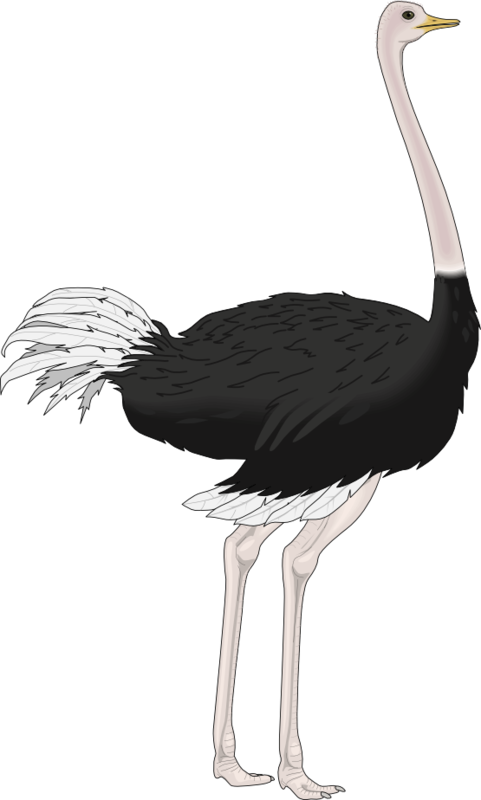 The ostrich is the largest of living birds. Adult males stand eight feet high and weigh more than 300 kg; the hens are slightly smaller. Six geographical rates differ slightly in size, the skin color of the exposed thighs, head and neck, and in the size and structure of their eggs. They are all members of the same species, the only representative of their order. Until recently, ostriches ranged from the Arabian Sahara Desert to the south across Africa. The ostrich family is an ancient one. Five fossil species are known, the oldest of the early Tertiary (about 50 – 60 million years ago). These ancient ostriches occupied southern Europe and Asia and Africa and also lived as far away in the north of the Mongolian deserts. Civilization pushed their descendants in the wildest parts of their former range. 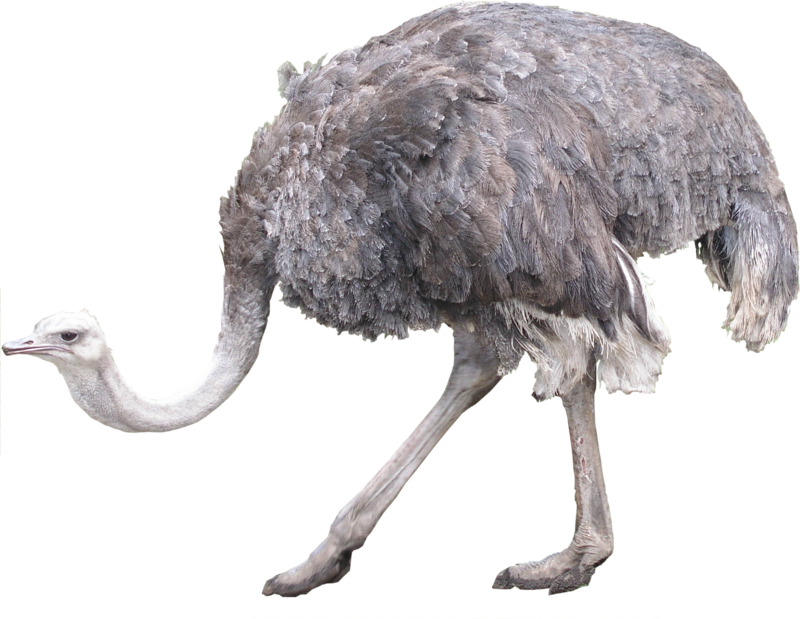 The Arabian Ostrich was probably wiped out the last reported one killed and eaten by the Arabs in Saudi Arabia during World War II. 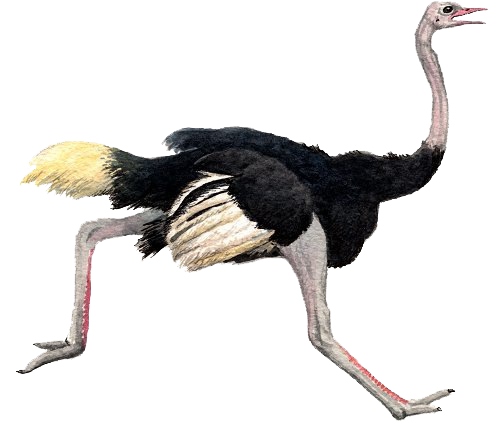 The ostriches that previously lived in the Egyptian, Nubian, and South African deserts almost disappeared. Most wild birds survive in dry central Africa, where they still wander in protected national parks. 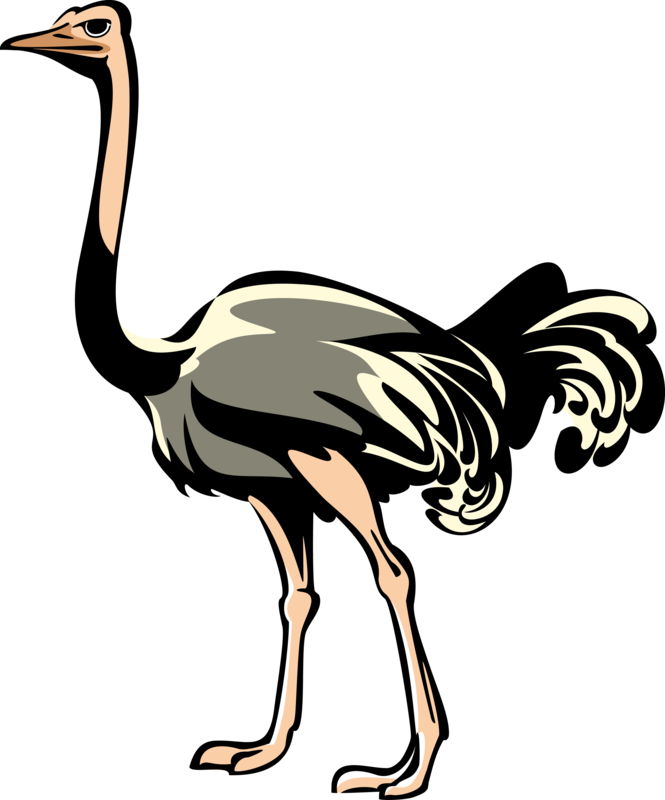 Ostriches live in the open dry area and travel in groups of 10 to 50 birds. They gather with wildebeest, zebra, antelope and other large mammals grazing in their kind of mutual union. Animals look at insects, mixing small reptiles and rodents for the ostriches. 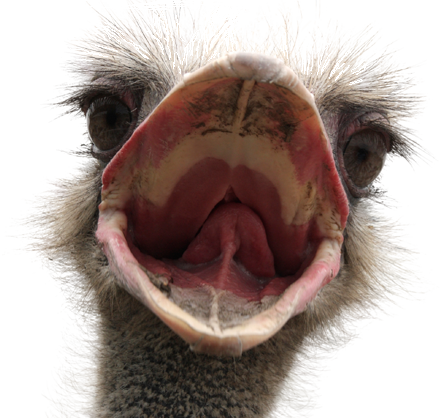 Ostriches also eat fruits, plants, and seeds. 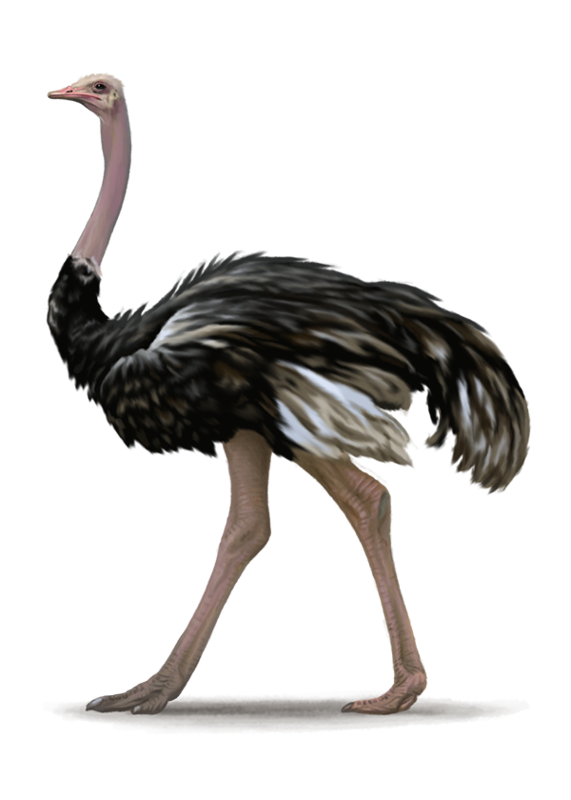 The ostriches managed to survive on the continent, rife with predators partially awake and shy, partly through their fighting skills, but mostly their speed. Tales of their running at 60 miles per hour is exaggerated. 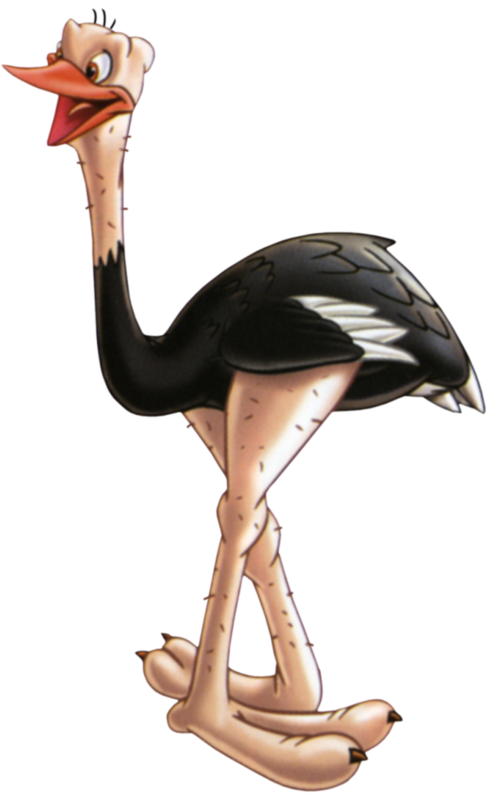 Despite the fact that they prefer to escape from danger, ostriches will in the corner and can be big antagonists. They struggle with their feet, legs and down with the vicious traits of heavy nails that can easily tear open the lion or man. 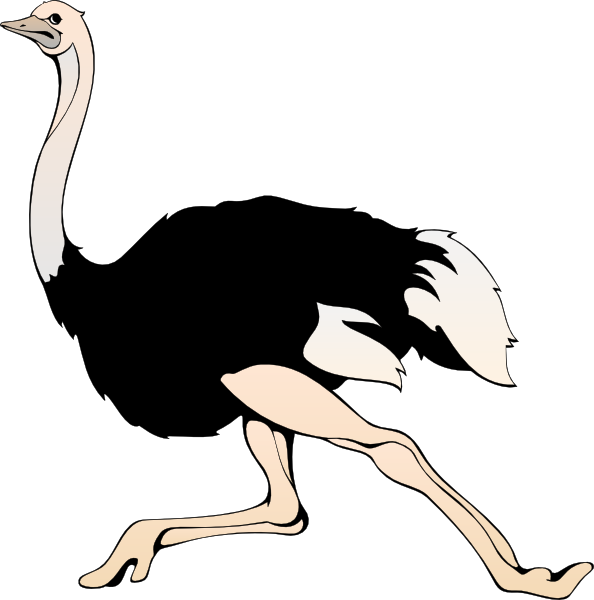 Ostrich is the only bird that has lost two of the four toes that most modern birds have. One of these two remaining toes is much smaller than the others, and this may be too much in the evolutionary development of a single hoof toe, a horse did not so long ago. Ostrich farms were first created in Africa in 1860 ostriches were first brought to America in the 1880s, when they were raised first in California, and then in Arizona, Oklahoma, Texas, Arkansas and Florida. The market is no longer as lucrative for feathers as it was 70 years ago, and today birds are grown mainly in zoos. 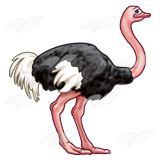 Download Ostrich PNG images transparent gallery.